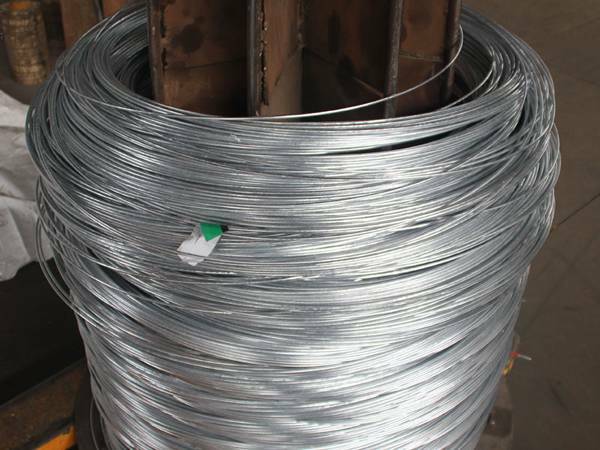 Metal Wire and Galvanized Wire by Galvanized Metal Wire Co., Ltd.
Anping Gal Metal Wire Co., Ltd. is a metal wire manufacture and exporter from China. We specialized in the manufacture of electro galvanized wire and hot dipped galvanized wire. Our galvanized wire is processed using high quality low carbon steel wire rode, then drawing forming, acid rust processing, after annealing by high temperature, hot dipped galvanized cooling processing. Galvanized wire has good toughness, flexibility and corrosion resistance properties, and the highest amount of zinc can reach 300 g/square meter. Our wire is made out of carbon steel wire and mild steel wire, with wire diameter from BWG8# to BWG16#. Coils or spools packing is available and single coil package can be as small as 10 kg and up to maximum 1000 kg per coil. It also can be processed into straightened cut wire or U wire, and then delivered. Apart from galvanized wire, we also manufacture other metal wires, such as, aluminum wire, brass wire, stainless steel wire, copper wire, PVC wire, annealed wire, spring wire, barbed wire and cut wire, tie wire, U wire, iron nails. These wires can be with heat treated or not heat treated, zinc and PVC coating or without coating. Our metal wire is widely used as various tie wires and binding wires in packaging and construction, daily civilian and handicrafts. It can also be woven to wire mesh and welded to wire fencing. For example, cold-drawn low carbon steel wire for reinforced concrete constructions, and steel finish HBR 67 Grade 3.8 or 3.6 mm galvanized wire for the production of handles for bucket. Wire diameter: 2.77 mm annealed. Coating: zinc coating minimum 40 gr/m2. Weight of each coil: 40–50 kg. Internal coil diameter: 500–600 mm. Packing: Bundles coils should be wrapped with strong plastic sheet to prevent rust and oxidation. Tension strength: (90/110 kg/mm2), 900/1100 N/mm2. Zinc Coating: 10 – 12. Packing: 20 kg/coil. ( Plastic inside & P.P Outside). Plastic spool: 50 kg/100 kg. Hard drawn galvanized and PVC coated wire. Diameter: Before coating 3.0 mm / After coating 5.0 mm. Color: Dark green Tension Strength: 1960 N/mm2. Packing: coils of 27 kg (500 m) and coils of 2.7 kg (50 m). Galfan wire has superior resistance to harsh conditions and abrasion, and it can be used to weave or welded into galfan gabion cages with good ductility. Here are the metal wire series products on sales: galvanized wire, stainless steel wire, high steel wire, tie wire, brass wire, black annealed wire, coil wire and barbed wire. Hot dipped galvanized wire is made of low carbon steel wire through wire drawing, washing, rust removing, annealing and coiling. Hot-dip galvanized wire is used in construction. Black iron wire is as known as black wire, annealed wire, soft annealed wire. Black annealed wire is often used as tie wire in building and construction. Electro galvanized wire and PVC coated wire specification: materials, wire diameter, wire gauge, packing and more info. Galvanized wire which materials are low carbon steel wire characteristics: including zinc coated, form, packing and other info. PVC coated wire description, wire diameter and color; Electro galvanized wire description, tensile strength, zinc coating, etc. I ordered some black iron wires from your company and the products arrived in time. I used the wire for wire mesh weaving, and it's so strong. 2 months ago, I bought your cut wire and I used it for building tie wire and daily binding wire. It's so convenient and it saved much time for me. Thanks for your high quality product. I'm a factory director, and I got the barb wire for my factory fencing. I installed it on the top of the welded wire fence for high level of security. It's great. I got the 1210 mm W × 460 mm D × 1750 mm H five layer modular wire basket rack for 2 years and I used it for cloths drying. It has perfect aesthetic effect and until now, it's still as new as before without any rust. It's just what I want. Anping Gal Metal Wire Co., Ltd. is a Chinese metal wire products supplier that has been offering the strong and durable galvanized wires and various nails for many years. Advanced production equipment, skilled workers and considerate after-sale service contribute our high quality products and long term cooperation with customers. 51 Anxiang Street, Anping County, Hebei, China. Copyright © 2000- Anping Gal Metal Wire Co., Ltd. All right reserved.